This collection of reports highlights the status of educational telecommunications in 13 western states during 1991. 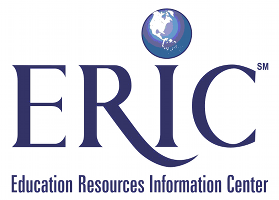 Topics addressed include distance education initiatives in Alaska; activities by members of the Arizona Education Telecommunications Cooperative, including colleges, public schools, and government agencies; groups active in the planning and implementation of technology in California education; activities of the Colorado Telecommunications Advisory Commission, colleges, and other organizations in Colorado; the infrastructure for Educational Telecommunications in Hawaii, as well as Department of Education, University of Hawaii, and legislative activities; telecommunications technology in Minnesota public school districts, community colleges, private colleges, the state university system, technical colleges, and the University of Minnesota; legislative initiatives in Nevada and activities of the University of Nevada; efforts by various organizations in New Mexico, including the state library, the board of education, and several colleges; progress made in North Dakota in the areas of interactive television, interactive video, public television, computer networking, satellite broadcasting, and emerging partnerships; legislative policy, networking, community college services, and activities of state agencies in Oregon; the South Dakota Governor's Telecommunication Task Force and uses of telecommunications technology in various educational settings in the state; activities of Utah state agencies and colleges; and initiatives in Wyoming, including legislation, distance education, interactive video, and community college programs. (ALF).
. Reports from Western States. Educational Telecommunications Plans, Policies, Programs . Retrieved April 25, 2019 from https://www.learntechlib.org/p/147243/.